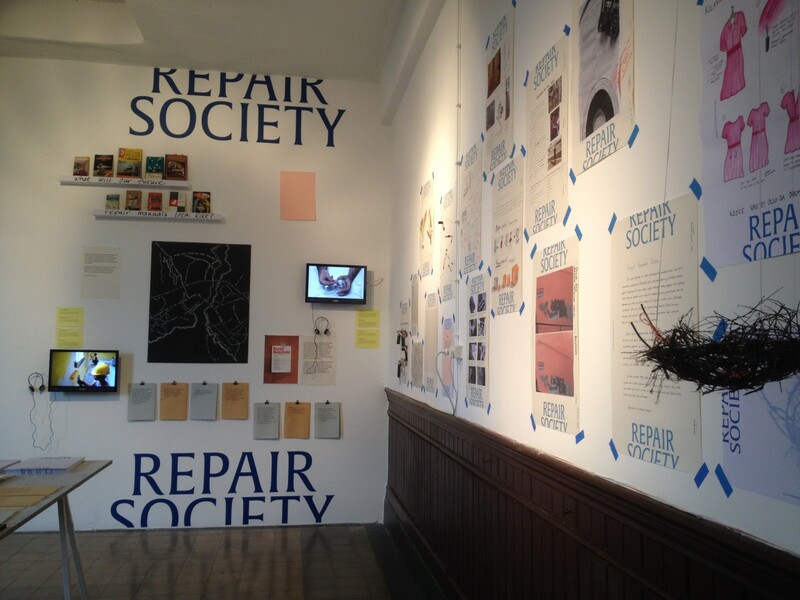 In 2009, together with a few colleagues, I wrote the Repair Manifesto. It was a call for action, to designers, producers and consumers to make products repairable and to have them repaired. It advocated repair as a sustainable alternative to the throwaway mentality. We provocatively promoted it as an even better solution than recycling, since to recycle still means throwing things away. The manifesto received international recognition and many follow-ups. New initiatives like the Repair café (still vibrant) also revealed the communal and social qualities of repair work. Now, eight years later, discussions on how to deal with all the trash we create are still topical. We have started to produce so much trash that we need to really worry not only for the environment but also for our own health. Concepts like cradle-to-cradle and the circular economy try to tackle this huge problem, but they are still – though with lesser impact on the earth – kind of promoting ‘throwing away’. To my astonishment a more prominent vision on repair is still missing. While in my opinion repair – and with repair I mean all kinds of mending, healing, recovering, upgrading and improvement activities – when put more central in our daily lives, could cause a major mentality shift! One, which the sociologist Hartmut Rosa (Resonanz. Eine Soziologie der Weltbeziehung, 2016) describes as: “going from feeling alienated from the world towards being in resonance with it”. 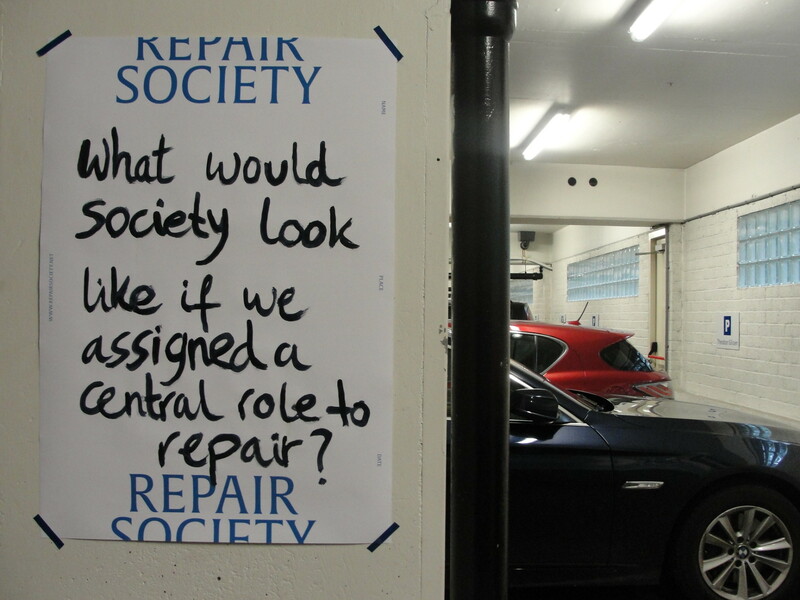 So what would society look like if repair would be central in our thinking and doing? Let me start with myself. How central is repair actually in my own life? Am I not in constant repair? Well, there is a bruise on my arm which – from the colour I can tell – will still take one more week to be healed by the perfectly working healing system present in my body. I have some scarves, which remind me of some accidents and diseases I had during my life, and I do have invisible scarves to the soul or heart. They have mostly been healed through the help of friends, family, or professional therapy. They have made me more strong and resilient and are definitely part of who I am and why I do things the way I do. I have also done many things wrong. Yes, I have disposed dysfunctional products, I have disappointed people, broke at least one heart (as far as I know), have not always been honest and fair and I am far from perfect. But I tried to make up, I have learned how to repair and improve, how to connect. Failure in many ways is a great teaching tool. And I feel lucky to have learned some of the repair skills needed for improvements. Just like moral repair has giving me back trust. This process is not always easy, not always instantly successful, but it made me grow up, taught me how to take responsibility and become wiser. And if it is possible at all to say something about my own future, I know for sure that I will need all these kinds of repair skills. Looking around me, I see lots of things that need repair, are dysfunctional or need some kind of improvement. One only has to read the newspapers to understand that we are in struggle with many relationships (between generations, between citizens and the state, between gender, nations, animal life, and we have to renew our relationship with nature). Cities, systems and services at one point become dysfunctional and break down, caused by natural disasters, human failures, unforeseen growth or wrongdoing. We talk about the side effects of gentrification, about the growing gap between rich and poor, and we say that we need to get at ease with our colonial past. There is just a lot of repair work to be done! So how come that whenever I try to explain the urgency of repair thinking, I often get a look that says: “Are you serious?” We do not need repairs; we need something new! We do not need to look at our imperfections and address them; no, we should look at other possibilities and keep up the appearances of perfection! We need radical innovations, fast accelerations and growth and changes that allow us to continue what we do and more. We love to stay in what philosopher Peter Sloterdijk (In the World Interior of Capital, 2005) describes as “our comfort spheres of consumption”. In other words: If things do not work (please us), we can just dispose them outside our sphere, out of our sight. Thoughtless consumption and disrespect go hand in hand, so he claims. If we stay in this mental mindset, which dictates that NEW is the thing to long for, we will never take repair seriously. Once objects become goods and clothes become fashion and friendships become Facebook likes, there is always something new to go for. It all becomes replaceable. The main question is: how to provoke a shift in this type of thinking? Some philosophers and critics think we need another perception of time. We are occupied with the Now (New) because the now is showing us the way to the future, and the future (whatever that might be) is what we make of it right Now. The Greeks’ visual description of time was the opposite. The future is the past and the past is now. We create the past right now! The American Professor Emerita in the History of Consciousness Donna J. Haraway speaks about an ongoing now (Staying with the Trouble: Making Kin in the Chthucene, 2016). She offers us another perspective: that of an ongoing flourishing. I love this concept! We should collaboratively look for ways to stay creative with and for the other (both human and nonhuman). This means that we should embrace open-endedness in all aspects of our lives.So coming back to envisioning a Repair Society, I suppose we ought to give more prominence to what was, what is and what it can become. This means a life long exercise of mending and patching and repairing and restoring and hacking and caring. A society in which imperfections and trouble are seen as precious moments of (re)connecting, looked upon as possibilities to improve and grow and as incentives to find new ways to repair. To keep the past alive prevents us from chronic amnesia and to take responsibility not only for a performance in the instantaneous present but also over time. This shall then give us a better past to build upon.